Hennessy VS, Chambord Liqueur, Sugar Syrup, Shot of Espresso & Cream. Patron XO, Chambord Liqueur, Malibu, Shot of Espresso & Cream. Martell Caradere, Cointreau, Marmalade, Sugar Syrup & Lime Juice. An appellation controlee French grape brandy from the Cognac region.  Cognac lends its name to what is arguably the finest brandy in the world. V.S. (VERY SPECIAL) Raw and spirity, with heavily scented floral bouquets. Average age between 5 and 9 years. HORS D’AGE Exceptionally rare Cognacs, blended from the finest vintages in Grande and Petite Champagne. Average age 50 & 1 OOyrs. Cognacs is subtler and richer. Average age 12 years. NAPOLEON Elegant, with a rich, woody nose and a soft floral flavour. Average age 18 years. spicy, lingering finishes. Average age between 25 & 50 years. An appellation controlee French grape brandy from Gascony, France’s oldest brandy, Armagnac, delivers rich, powerful flavours and an astonishing bouquet. A fortified wine made by adding brandy to arrest fermenting grape “must”, which results in a wine, usually red, occasionally white, that is both sweet and high in alcohol.